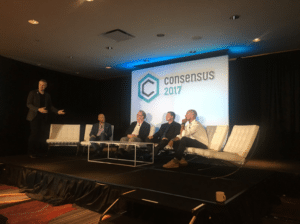 SAN FRANCISCO, CA – (April 26, 2017) – Hyperledger, a collaborative cross-industry effort created to advance blockchain technology, announced today that seven new members have joined the project to help create an open standard for distributed ledgers for a new generation of transactional applications. 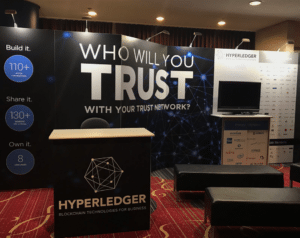 Hyperledger aims to enable organizations to build robust, industry-specific applications, platforms and hardware systems to support their individual business transactions by creating an enterprise grade, open source distributed ledger framework and code base. It is a global collaboration including leaders in finance, banking, IoT, supply chain, manufacturing and technology. The latest members include: CollectorIQ Inc., Korea Exchange, Shanghai Onechain Information Technology, Shenzhen Forms Syntron Information, The State of Illinois, The Netherlands Organization for applied scientific research (TNO) and 1worldblockchain. As our incubated projects continue to mature, we’d like to update the community monthly on the progress we make. Below are updates on Blockchain Explorer, Cello, Fabric, Sawtooth Lake and Iroha during February. We completed the architecture review with the community and incorporated the feedback into the design document. The design document was posted on the “blockchain-explorer” channel on Rocket.Chat. We plan to upload this document to the Hyperledger wiki so that it is permanently available for anyone to review. We are continuing our work to make Explorer compatible with the Fabric 1.0 project. 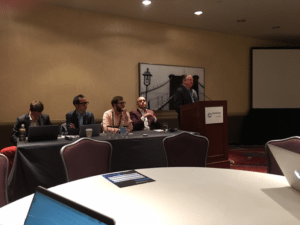 New design updates were presented at the Hyperledger hackfest on Feb 1-2 and other Hyperledger forums. Parallel execution and new language support resounded well with the community. In the next month, we will begin work on new demonstration networks exhibiting some of the use cases prototyped using Sawtooth Lake. Fabric continues to press forward to wrapping up feature development for the 1.0 release. The team is preparing a version 1.0 preview initially, followed by an -alpha release by the end of February. We’ve been bolstering our test frameworks with integration testing that had been developed by IBM for its offerings. We have also been taking a close look at improving documentation to make it more user and application-developer focused. We had some interesting discussions with the Sawtooth team on integrating PoET into Fabric at the bi-monthly hackfest, which we hope to begin pursuing in the near term and we also continued working with the Sorimitsu team in aligning APIs. Hyperledger Fabric played a prominent role in the largest blockchain hackathon to date, held in Groningen, Netherlands, Feb 10-12. 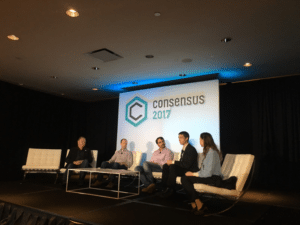 55 teams competed in five tracks and two of the five winning teams based their solution on Hyperledger Fabric. 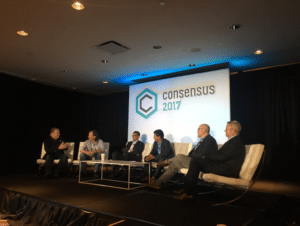 The other winning teams used Ethereum or Factom. Roughly half of the 55 teams were also using Hyperledger Fabric. It really was an exciting event and bodes well for the upcoming hackathon in Shanghai in March. There are lots of discussions on the Rocket.Chat channel, mostly on documentations and deployment topics. Several Jira tasks were created as the feature roadmap, including refining documentation, supporting fabric 1.0 and supporting other blockchain platforms. We implemented the new dashboard configurations and refined the front-end code. Several deployment enhancement/patch sets are in the works to make Cello more stable. The API has been fixed and currently we are working on porting all the protobuf code to flatbuffers. There are several bugs/memory leaks with flatbuffers still, so we have been working with their project to fix these. We have also been working on getting flatbuffers working with grpc. 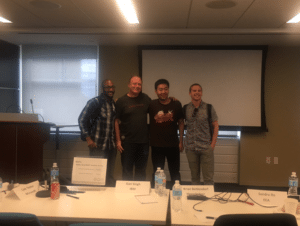 At the Hyperledger hackfest in San Francisco, we had an interesting discussion with IBM, where we outlined some ideas for creating inter-ledger transactions between Iroha and Fabric. If anyone in the community is interested in working on this together with us, please tell us on Rocket.Chat/gitter/github issue (https://github.com/hyperledger/iroha/issues/159). That’s it for the updates! We encourage developers to join our efforts on these projects and help us shape the future of blockchain. You can plug into the Hyperledger community at github, Rocket.Chat the wiki or our mailing list. 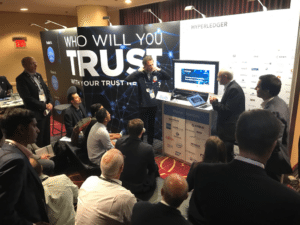 You can also follow Hyperledger on Twitter or email us with any questions: info@hyperledger.org.